According to Lenovo India, Vibe X3 is all set to be release today in India, though the prices has not been revealed yet, though as per the specifications and build quality it is very likely that Lenovo Vibe X3 will be priced at Rs. 24,999. The phone has already been released in the month of December 2015, but it has not been launched in India till yet. It has also been said that Vibe X3 is the last premium device from Lenovo. Vibe X3 is a dual SIM smartphone with 3G and 4G network support. The phone has 5.5 inches IPS display with a resolution of 1080 x 1920 pixels, which is protected by Corning Gorilla Glass 3. The phone is mere 9.3 mm thick and has 70.8% of screen-to-body ratio. 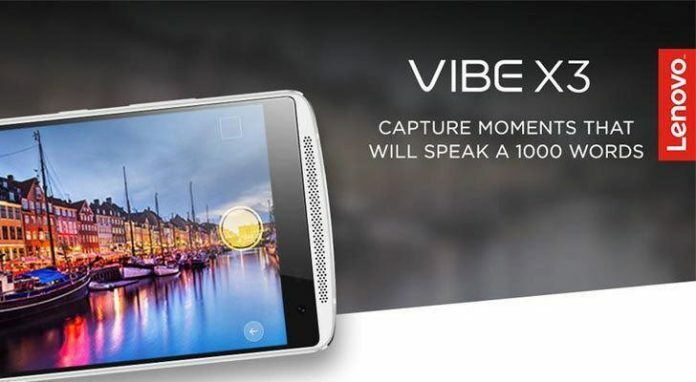 Vibe X3 is powered by Snapdragon 808 chipset with a powerful octa-core processor accompanied with Adreno 418 GPU. The phone has 3GB of RAM which makes multitasking very smooth and comes with 32/64GB of internal storage that can be expanded up to 128 GB via micro SD card. The phone runs on Android 5.1 Lollipop out of the box, which is expected to get the Marshmallow update very soon. Vibe X3 is equipped with 21MP primary camera which features dual LED flash, auto-focus, HDR, etc and a 8MP front camera. The phone uses Dolby Atmos technology for audio, which enhances the sound to a great extent. The other features include FM Radio, NFC, Wi-Fi, GPS, Bluetooth, OTG and a 3.5mm audio jack. Vibe X3 has a bigger 3500 mAh battery which support quick charging. The phone is only available in two colors, i.e. White and Black. The phone has front facing dual speaker at either ends. Overall the build quality of the phone is excellent and it holds the tag of being premium. 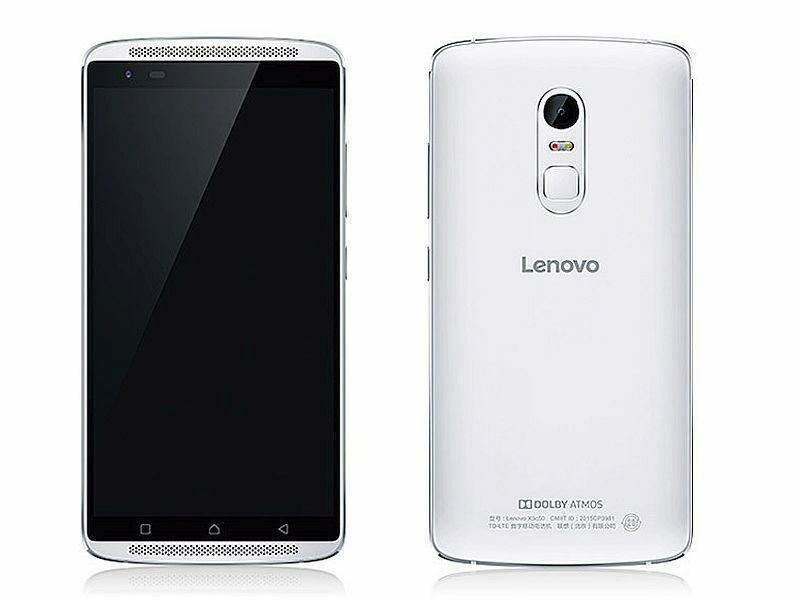 The prices of Lenovo Vibe X3 in India has not been revealed yet, but it is expected to carry a price tag of around Rs. 25000. We will soon update this post with confirmed prices after the launch of the phone today. Lenovo Vibe 3 will get a stiff competition from OnePlus 2 and recently launched YU Yutopia.